Thank you Dr. Paes for making my son feel comfortable and painless during his Frenectomy procedure. He had no idea he had laser surgery. You are truly the best!! I can't thank you enough!! Dr Paes shows exceptional skill at what he does! His staff is quite friendly. I would highly recommend this newly equipped, highly professional office to anyone. Just visited this office for the first time last week, best dental visit I've ever had, professional, thorough and very modern and clean. Going to any dentist raises my anxiety. Having to find a new dentist after my move from California to New York was something I didn't look forward to. 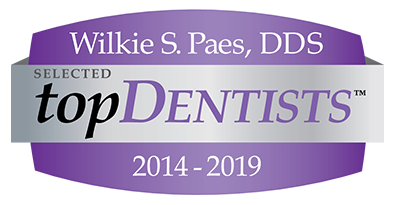 I went to Dr. Paes and Town Center Dental of LaGrange based on a very high endorsement from my son-in-law and I am glad I did. Dr. Paes and his staff have been consistently professional, friendly, and considerate of my many concerns. I received outstanding consultation and treatment on all levels --- including clear, competitive pricing and many options for different approaches I could choose based on my timing, finances, and comfort level. I am glad to call Town Center Dental of LaGrange my "dental home." The work of Dr. Paes's work is stellar and the offices are clean, modern, comfortable, and beautiful. Everyone seems to work together well and seem glad to be there. Highly recommend it. Dr Paes is amazing! He is so gentle and you don't feel a bit of discomfort. Staff is professional and welcoming, they treat you like a priority and make sure your every need and concern is met. If you are looking for quality care in a brand new and clean environment look no further than Town Center Dental! I used to be so afraid of the dentist that I would bring my husband with me to appointments. For years we didn't have dental insurance and when I finally did get insurance I was scared and embarrassed to go. After being shamed by a dentist when I did try to go, I only went when I was in pain. Finally I have found an office that is so kind and patient I am not afraid to go. I even go by myself without my husband in tow! I highly recommend this office. The compassion and level of care are wonderful! From all the staff at Town Center Dental of Lagrange, thank you for taking the time to leave your review and for trusting us to take care of you and your family's dental health.